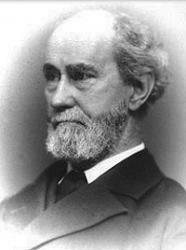 Today in Masonic History we present Faith of the Olden Time by Rob Morris. Like chaff' upon the blast. Give me the FAITH my fathers had. A candle-ray to freedom's star! Give me my fathers' LIBERTY. Life's blessings how they freely shared. These were the things of Olden Time. A beauty and a power. The path that led them up to God. Glve me the days of Olden Time!